No, I’m not talking about the sports teams or something you saw on Harry Potter; I’m talking about a corporate giant, Amazon! Amazon is everywhere – on your phone, tablet, computer, TV, grocery stores, delivering groceries, and in your home!! As one of the largest e-commerce giants on the planet, it is only expected that this booming business is hiring again. In the next 18 months, Amazon announced that it is planning to open 100,000 jobs nationwide. Amazon, alone, is looking to add 28,000 more jobs to the Seattle market; this doesn’t include other places that are hiring like Apple & Microsoft. 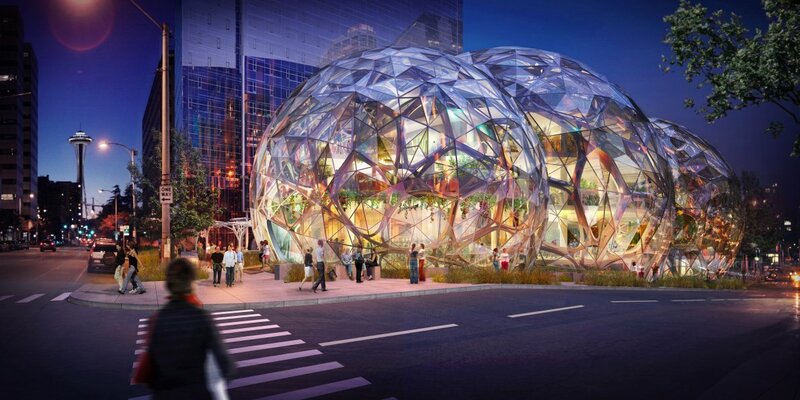 So, what will it bring to Seattle and along the Eastside? More jobs, more advances in technology, more foot traffic throughout the Seattle neighborhoods, promoting other businesses and stimulating the economy. What about housing? Developers are scoping out the prime real estate throughout Seattle and all along the Eastside to buy, design, and sell houses for the flux of new “Amazonians.” As you take a look around, new apartments, advanced office spaces, condos, housing developments, and the like are going up. New and updated transportation systems are also being looked into to accommodate the fast growth in Seattle’s urban core. There are so many benefits that go along with Amazon’s job and market expansion, but those in the market to buy or sell your home, there are some things to consider sooner rather than later. Currently, we are facing a market that has a decreasing amount of listings in these thriving regions; truthfully, the surrounding neighborhoods have grown so much and for the better, that a lot of families continue to grow and stay in their childhood homes. With the expected expansion over the next 18 months, this is the time to buy a new home and get in while the region flourishes around you! Be prepared for the chance of a bidding war over that perfect home, though, as demand continues to increase, the supply can only present itself so quickly. Naturally, these inflating communities are not for everyone. There are still a fair amount of homeowners looking to sell. Does this sound more familiar to you? Then I strongly encourage you to list your home! As mentioned before, there’s a good chance that your home could enter into a bidding war so a new family can buy your beautiful home and make it their own. Buying and selling homes can certainly prove too overwhelming, especially with any competition in the market. More importantly, you always want to make sure you are getting the best value for your dollar. This is why enlisting an experienced, reputable, and knowledgeable real estate professional is ALWAYS recommended. The Villalobos Group is guaranteed to provide just that, and certainly exceed your expectations. Their reputation exceeds them, and they are certain to ensure this is a stress-free and positive experience for you.